SANAA, Yemen -- The death toll from Saudi-led airstrikes that hit a wedding party in Yemen's central Taiz province has risen to 131, making it the deadliest single incident since the start of the country's civil war, medical officials said Tuesday. The U.N. says at least 2,355 civilians have been killed in fighting since March, when the coalition began launching airstrikes against Shiite Houthi rebels and allied army units, who control the capital and are at war with the internationally recognized government as well as southern separatists, local militias and Sunni extremists. 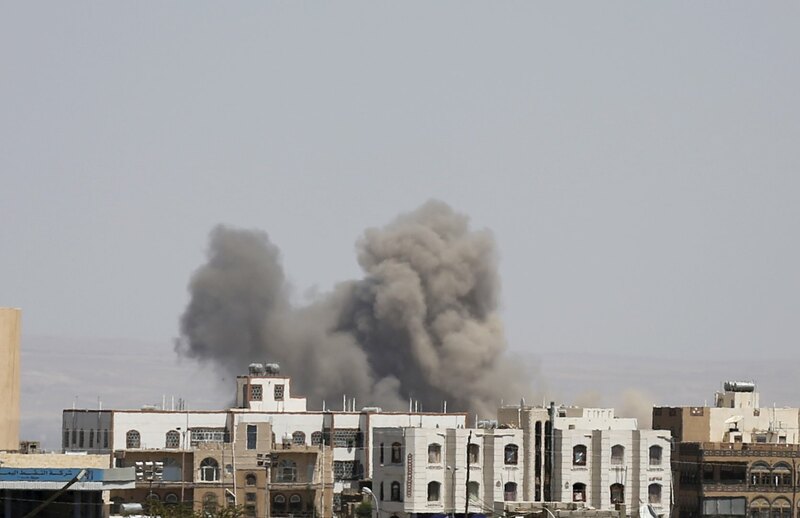 At least 80 women were killed in the wedding airstrikes, said Yemeni medical officials who work in the province and have been neutral in the conflict that has torn their country apart. They spoke on condition of anonymity because they were not authorized to speak to reporters. Hassan Boucenine, of the Geneva-based Doctors Without Borders, called it the deadliest single incident since the beginning of the conflict. The Saudi-led and U.S.-backed coalition apparently struck the wedding party by mistake on Monday in al-Wahga, a village near the town of Mokha and the strategic Strait of Bab al-Mandab, Yemeni security officials said. "They struck a wedding, there were only civilians there and most of them died because the Mokha hospital is closed because of supply -- no drugs, no fuel, no electricity, no nothing, so the staff left," Boucenine said. Victims were transported to Hodeida province to the north, he said, and most of them died on the road. The provincial capital of Taiz was inaccessible due to ongoing fighting. He added that there was no heavy military presence in the vicinity of the strikes. "To be honest it's worse and worse...it's beyond despair," said Boucenine, speaking about the conflict. Officials from the Saudi-led coalition could not immediately be reached for comment. U.N. Secretary-General Ban Ki-Moon condemned the airstrikes, which he said "killed as many as 135 people" and called on all parties involved in the conflict in Yemen, "from inside and outside the country, to immediately cease all military activities." The office of the U.N. human rights chief said 151 civilians have been killed in fighting in Yemen over two weeks in September, taking the civilian death toll to 2,355 over the last six months. The figure, which dates to Sept. 24, does not include the casualties from the wedding party strikes. The office of the High Commissioner for Human Rights cited both sides in the conflict, pointing to coalition airstrikes and "indiscriminate" shelling in residential areas. It called on the Saudi-led coalition and Yemen's government to allow "independent and impartial" investigations.